What can your body mass index tell you? In a word, yes- in spite of it all. The most recent challenge to the general utility of the BMI, or body-mass index (i.e., a measure of weight in kilograms divided by height in meters squared, or generically, a height-adjusted measure of weight) appeared in the International Journal of Obesity in February. This article, in turn, generated some predictable media attention. The resultant pop culture headline was: Goodbye to the BMI. Note, though, that the study authors referred to the use of BMI as the “main indicator” of health, and to relying on it “solely” as the basis for policy. I frankly don’t know anyone inclined to do either of these foolish things, and readily join with the study authors in advising against them. In particular, the authors mention the inclusion of BMI among parameters used for financial disincentives in employer-based health insurance offerings. 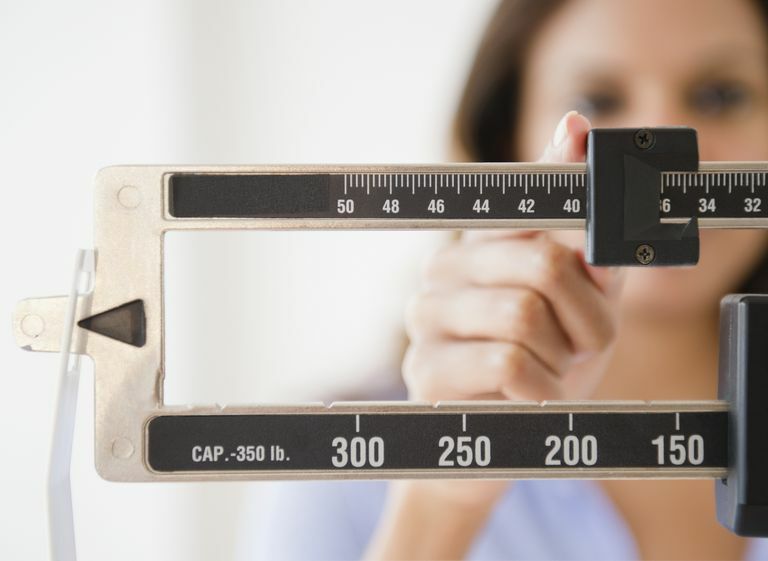 Specifically, they point out that some employers impose financial penalties for an elevated BMI. Here, too, I agree: this is misguided, and for at least three reasons. 1) As the authors indicate, BMI does not reliably indicate health status. Imagine, for instance, inducing someone to use amphetamines, even cocaine, to lose weight, because a high BMI leads to financial penalties. There are some extremely unhealthy ways to be thin, or get thin. 2) Even more importantly, BMI is not a behavior. No one “decides” what their BMI will be. Rather, we do decide (N.B. the choices we make are subordinate to the choices we have, but that’s a topic for another day) what to eat, and whether or not to exercise. We decide, in other words, on some things that influence both calories in, and calories out. But BMI is not entirely responsive to those factors. It is also influenced by factors we do not control, including ethnic heritage, genetic polymorphisms, and variations in the microbiome. This, in turn, leads to the third argument. 3) BMI is not equitable. In other words: it isn’t fair. Two people can eat the same, and exercise the same, and one gets fat while the other stays slim, for reasons unrelated to behavior. That one of these two people is subject to a financial penalty because of an outcome they don’t control entirely, and despite the behaviors they do, quite blatantly adds insult to injury. But in spite of all that, the BMI is a useful measure - in much the same way that miles-per-gallon (MPG) is a useful measure of automobile fuel efficiency. Like the BMI, MPG only measures what it measures. It is not a reliable indicator of the overall “health” of a car. A car with a low MPH may be working fine, and a car with a high MPG may have a serious malady- such as failed brakes. But also just like BMI, MPG is a useful indicator in context. So, for instance: if the MPG of a given car is moving in an undesirable direction, it is apt to be an early indicator of a genuine problem. The same is true of BMI. Both are also useful at the “population” level. In general, a fleet of cars with high MPG is preferable to a fleet of cars with low. Ditto for BMI: a population with a mean near normal is apt to be better off than one with a mean well above or below that. And, finally, both measures are useful for trends at the population level. Whatever the status of any given car, we would expect the average MPG of all cars to rise if technology related to fuel efficiency is advancing. Similarly, we would expect the mean BMI in a population prone to rampant obesity to shift down if public health is making gains. We would like to see mean BMI rise in a population prone to starvation. Of course, any measure can be misused. Consider, for example, the comparison of a bus to a coupe. The bus gets 10 MPG; the coupe gets 25. This would seem to argue against the use of buses, and thus, against mass transportation. But that unadjusted comparison is obviously simple-minded. The very point of mass transit is carrying masses! The bus, let’s say, carries 50 people; the coupe, two. So, the coupe uses a half-gallon per person per 25 miles, or 0.02 gallons/person/mile. The bus uses 1/50 gallon per person per 10 miles, or 0.002 gallons/person/mile. Assuming both vehicles are full, the bus is fully an order of magnitude more fuel-efficient than the coupe in practical, real-world terms. The BMI is a measure, like MPG. Both require sensible application and interpretation to be of value, and both are when those conditions are met. While far from perfect, the BMI offers advantages of ease and economy. Better measures, such as body composition, are often prohibited at the level of general population trends by inconvenience and cost. One final comment is warranted, resulting in one final comparison between measures in people and cars. The researchers responsible for the recent study contend that since several important cardiometabolic measures are often normal with an elevated BMI, and often abnormal when BMI is fine, that BMI is not a reliable predictor of health. Here, they are quite simply, wrong. Prior research, also garnering media coverage during its 15 minutes in the spotlight, showed that elevated BMI was a strong predictor of both diabetes and heart disease over time even when the usual measures of cardiometabolic risk seemed normal. So, that final comparison to cars involves the indicator lights on the dashboard. They don’t necessarily tell us just what’s wrong, or how bad, but they alert us to potential problems and invite assessment and corrective action. The BMI is just the same. The BMI has very important limitations. It is quite useful nonetheless, provided we use it wisely.